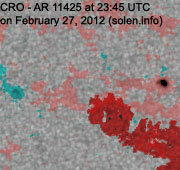 Last major update issued on February 28, 2012 at 04:40 UTC. 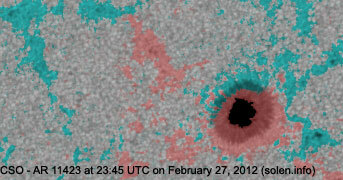 The geomagnetic field was quiet to minor storm on February 27. 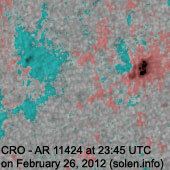 Solar wind speed ranged between 428 and 495 km/s under the influence of a CME. 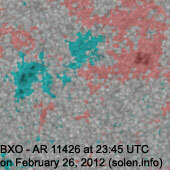 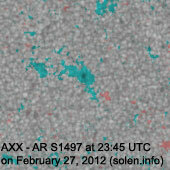 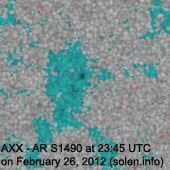 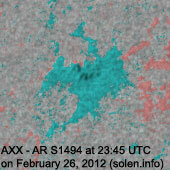 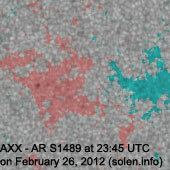 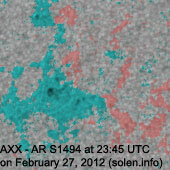 Solar flux measured at 20h UTC on 2.8 GHz was 105.5 (decreasing 11.0 over the last solar rotation). 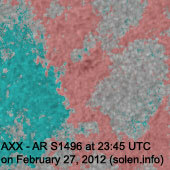 The planetary A index was 19 (STAR Ap - based on the mean of three hour interval ap indices: 18.8). 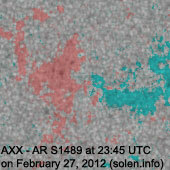 Three hour interval K indices: 43124352 (planetary), 43223333 (Boulder). 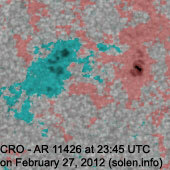 Region 11423 [N17E17] added a couple of positive polarity spots ahead of the single penumbra. 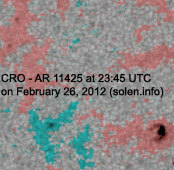 Region 11424 [N07E26] decayed slowly and could soon become spotless. 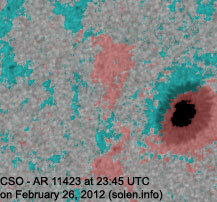 Region 11425 [N18W02] decayed slowly and quietly. 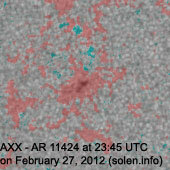 Region 11426 [N11W01] developed slowly and was quiet. 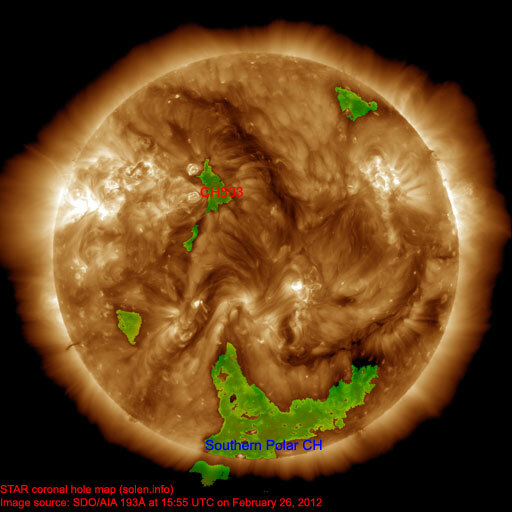 The geomagnetic field is expected to be quiet to unsettled on February 28 due to CME effects. 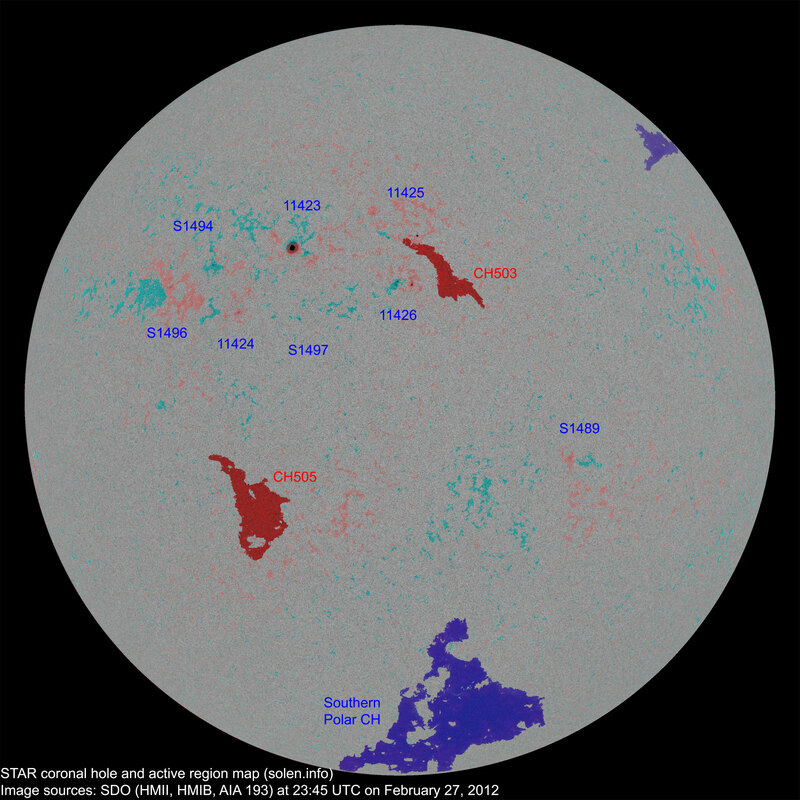 Mostly quiet conditions are likely on Feb.29. 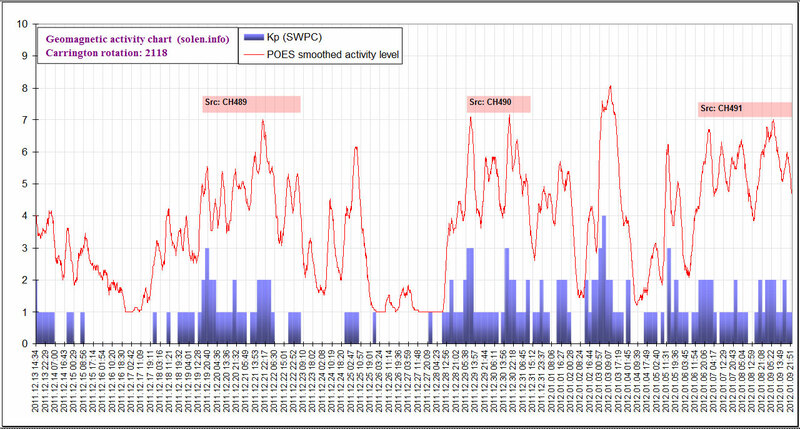 A high speed stream from CH503 could cause quiet to unsettled conditions on March 1.